Delighted to announce that one of the Film Limerick Trilogy, of which I was the editor, has been nominated for Best Irish Film at the Kinsale Shark Awards. Gold Winners will be announced at our Awards Dinner Ceremony in Kinsale on Thurs 22nd September 2016. Congrats to all the team, cast crew and admin. Fingers crossed for Thursday evening. Limerick Film Festival have announced the media partnership with Limerick’s Fusion Magazine. Headed up by Director and Editor, Michelle Costello, Fusion Magazine will be covering the updates of the festival via their print edition in April as well as their strong social media presence. Fusion Magazine is a Creative Publication Highlighting the Positive Attributes of Limerick City & County. Their latest edition is now available at all good news agents and stores across Limerick City and County and beyond. Looking forward to working closely with Michelle and the team to bring all the latest festival updates as they are announced and take place. In this months episode we take a look at the popular tourist attractions available in Limerick City and County, including the Foynes Flying Boat Museum, newly refurbished Limerick City Art Gallery and the Adare Heritage Centre to name but a few. Watch out for our film crew during the coming months as we cover other venues and great events happening in the region. The new production by Matt Kelly Productions, ‘That’s Limerick’ is launched tonight by the Limerick Communications Office. Experience some of the best attributes and experiences on offer in this excellently produced video to promote all that is great about Limerick City. I was delighted to be of some help to Matt and Marion in its production. Well done to them!! Here is episode 10 of Limerick Insider. Nice feeling that we are now in double digits for this programme. Here’s to the next ten!!! Watch out for our team filming in around Limerick City and County in the coming months. 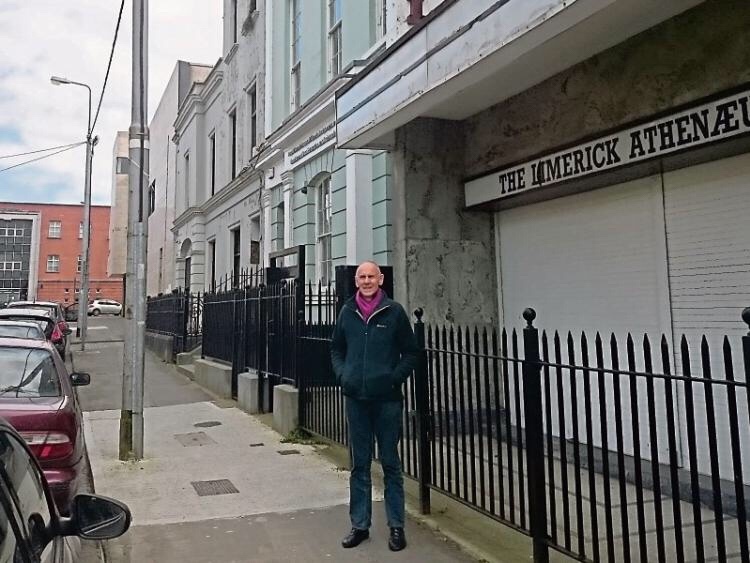 Here is the October episode of Limerick Insider. Limerick Insider is back again detailing the events that have taken place in Limerick City and County for the month of September. Highlighted this month: Limerick Vintage Rally, Limerick Pride, Heineken West Fest, Arthurs Day and Culture Night. There is also a few shots of the Outbreak Fest featuring a Zombie or two. Here is the july episode of Limerick Insider. July was another busy month in Limerick with fantastic events like the Pig n Porter Tag Rugby Festival, the Athea Road Races, the Beast of Ballyhoura and the Irish Festival of Speed taking place. There was cause for great celebration in Limerick with the Milk Market winning the prestigious ‘Public Choice Award’ at the RIAI Irish Architecture Awards 2011. This is the second episode of Limerick Insider, hosted by Limerick.ie and produced by Applebox Media. If you like this internet video please take the opportunity to fill out the survey below and return it to the following email address.